Hi Ranger forum, I recently bought a 2004 Ranger Edge stepside 4x4. While troubleshooting a water leak problem i noticed three large rectangles in the botton of the rockers. It looks like there was trim covering it at some point, but I can't find any reference to it. I looked under a few rangers in the parking lot and neither had the same rectangles (but neither was stepside, if that matters). Any ideas? 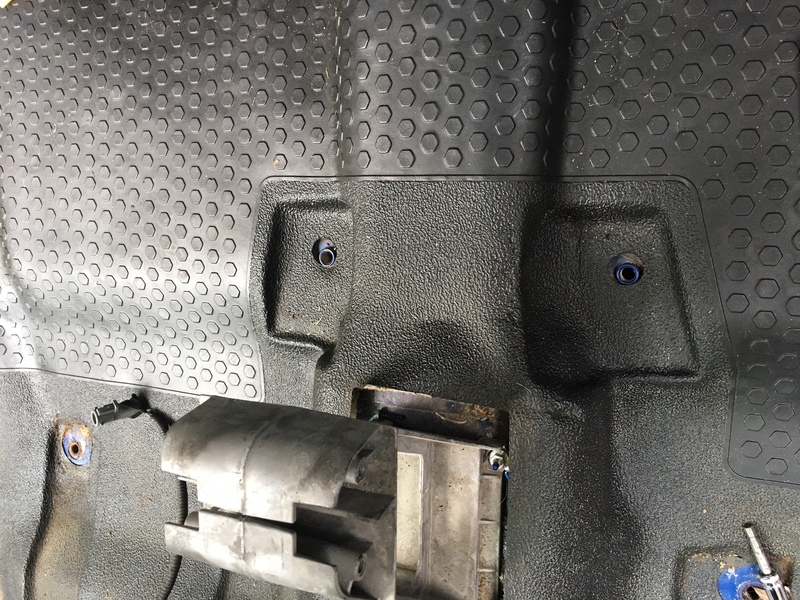 Also, what attached to the floor just behind the center console? I have two large holes that go all the way through, looks like something shoudl be covering them?? My 99 Mazda B3000 has the same holes in the rocker panels, I have no idea why they are there, but it makes it very easy to keep the panels clean. I thought that was the reason though, so a guy can use garden hose to spray the dirt out. 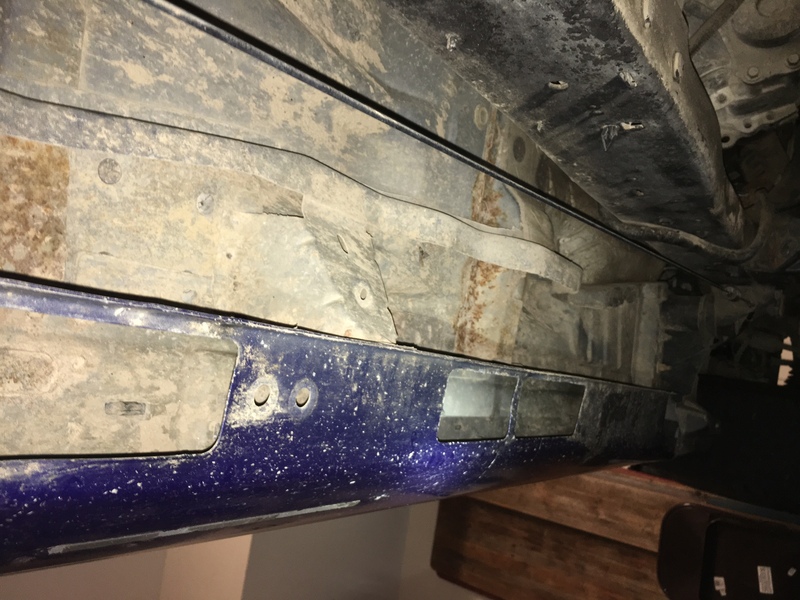 Sealed up rocker panels were a problem on any vehicle, condensation always seem to collect in there and they rust from the inside out. That will never happen here. I can also easily get in there was some oil to keep them from getting rusty. Don't know what was bolted behind the centre consol. 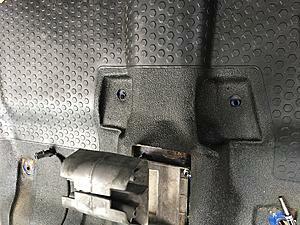 The holes near the back of the console are for the center seat belt in Rangers with three-across seating. Rangers with bucket seats do not use those mounting holes. There were probably trim plugs in those holes when the truck was new. RE cutout holes at bottom of rocker panels, I have not been able to find that Ford provided trim plugs for these holes. In one way, it's a bad design because dirt/mud gets inside the rocker panels from the road of track spray flung off the front wheels. When enough mud builds up it stays wet causing the panel to rot out. On the other hand, one can easily get a hose nozzle up into the cutouts to wash out the accumulated mud. Front mud guards could probably be fitted to reduce the problem from wheel wash.